The long, tumultuous recording sessions for Kid A yielded many more songs than the ones that landed on that album. Seeking to avoid a double album, Radiohead decided instead to release another long player only months afterward. Because of this, this second album, Amnesiac, was often derided as “Kid B,” a collection of songs that didn’t fit on the original album because they simply weren’t good enough. While there is some truth in this—many of the more experimental tracks are clearly Kid A rejects—the album is far from an afterthought. In fact, many of the songs here that were left off Kid A for being (relatively) too conventional rank among Radiohead’s best. The haunting “Pyramid Song” finds transcendence amidst its ever-shifting time signatures; “You And Whose Army?” builds to a rousing finish, and “Knives Out” twists a melody from “Paranoid Android” into the closest thing to a pop song the band had done since OK Computer. Elsewhere, the bookending tracks “Packt Like Sardines In A Crushd Tin Box” and “Life In A Glasshouse”—the former all clattering percussion and mumbled vocals, the latter an emotional jazz number featuring Humphrey Lyttelton and his band—capture Radiohead still pushing the boundaries of their music with excellent results. 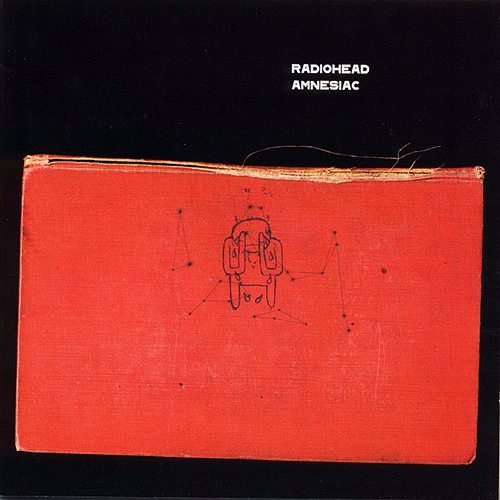 Still, the more electronic and formless tracks like “Pulk/Pull Revolving Doors” and “Like Spinning Plates” may sound good in the moment but feel a bit tossed off compared to the accomplished experiments of Kid A. It’s enough to make this one of Radiohead’s more unfocused albums, but the difference here is that even the lesser songs on Amnesiac are interesting enough to make this record more than worthwhile, showcasing the band at some of their most adventurous peaks and indulgent valleys. Tags: album, amnesiac, knives out, life in a glasshouse, packt like sardines in a crushd tin box, pyramid song, radiohead, review, thom yorke, you and whose army? Deerhunter had already cleaned up their sound a bit on 2008’s Microcastle, but on Halcyon Digest, they strip even more away, creating an often gentle record, one that sounds dreamy even at its most busy. And make no mistake, “dreamy” is definitely an apt word here because much of Digest deals with nostalgia and memories slipping away, where half is real and half is imagined, much like a dream. Accordingly, the band creates wide-open soundscapes that are as memorable as they are hazy. 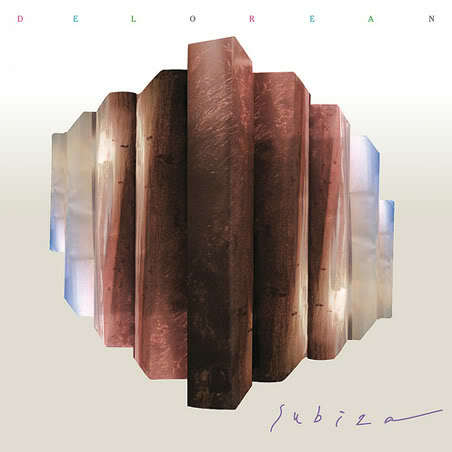 Opener “Earthquake” swings back and forth between sparse, disquieting percussion and spacy pop; the woozy “Basement Scene” and “Don’t Cry” boast melodies that feel timeless; and “Helicopter” sounds like Grizzly Bear’s stately chamber pop put through a blender. Even when Digest takes a few left turns, though, it still succeeds. On “Coronado,” Bradford Cox affects his voice to sound like Julian Casablancas while growling saxophones force their way through the mix, and in the last few minutes of “Desire Lines,” guitarist Lockett Pundt pushes the band into a trance-inducing guitar odyssey. Not every song on this album is easy to get a hold of on first listen (in fact most of it isn’t). But each song sticks in the mind, and soon each of these small, drowsy epics begin to take shape, revealing Cox’s nostalgic lyrics and the band’s inviting, consoling melodies. Gently melancholy but never despairing, Halcyon Digest is a surprisingly emotionally direct album even though its otherworldly music may seem to imply otherwise. Spanish dance outfit Delorean may have cut a few albums before, but with 2010’s Subiza, they finally attracted a wider audience, and it’s not hard to see why. Dreamy synths jut up against frosty keyboards and percussion ranging from cymbals to bongos, all driven home by a wash of melodic vocals and chants. Taken at this surface description, it’s tempting to lump them in with other dance-minded indie electronic acts like, say, Hot Chip, but Delorean veer closer to dance music in the classic sense. Taking elements of the Balearic beat movement from twenty years ago (namely its mix of house, dub, and R&B), the band creates a textured, hypnotic sound that evokes the feel of ’90s dance albums without feeling derivative. Indeed, atmosphere does take precedence here over structure, but Delorean’s soft spot for indie pop gives a few of these songs a bit more backbone. “Simple Graces,” with its soulful groove, and “Infinite Desert”‘s night-on-the-town synths are what is going to appeal most to the pop crowd at first. Yet, it’s the understated pulse of “Stay Close” and the affected vocal hook of “Real Love” that will appeal most to dance and electronic music fans. Occasionally, a few songs feel too similar, almost seeming to based off of the same instrumental track. Repeated spins help dispel some of this, but it is enough to keep the album from being as rewarding as it should be. Subiza may take a little bit longer to unpack for the pop audience, and despite some lyrics dealing with uncertainty and loss, it is sure to win anyone over who’s in for a good time, something the album delivers in spades. 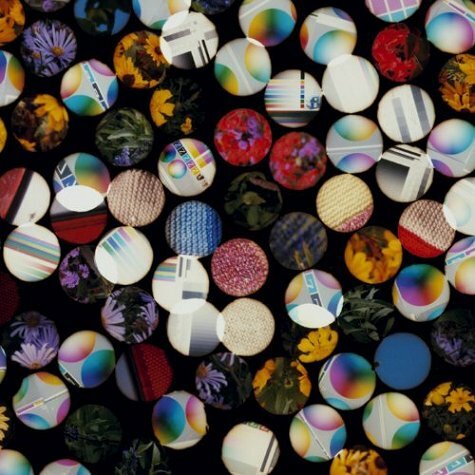 Kieran Hebden’s work under the Four Tet moniker has always freely blended both the welcoming and the difficult sides of electronic music, but on 2010’s There Is Love In You, he mixes the two more seamlessly than ever before. For instance, look at how the hazy, hypnotic vocal samples on “Angel Echoes” hovers over a sparse music box melody or how standout “Sing” builds from a glitchy synth pulse to a collage of sound then breaks away just as quickly without ever losing focus. But compared to his last album, 2005’s busy Everything Ecstatic, the music here is, for the most part, rather simple, only working off a few layers. Pianos, guitars, found sounds, electronic manipulations, vocals, and percussion all make their appearances but seem to be added only when absolutely necessary. There’s a difference between “simple” and “simplistic,” however, and Hebden manages to wring a surprising amount of depth and resonance from his arrangements. “Love Cry” is one of the most memorable moments: nine minutes of rhythmic hum and buzz bolstered almost entirely by just a drum and vocal track. Meanwhile, “Circling” floats along on swirling keyboard figures, and closer “She Just Likes To Fight” ends the album optimistically with a shimmering guitar loop and jangling percussion. What helps make There Is Love In You such a success, though, is that it immediately satisfies but reveals a richness as it unveils all of its off-kilter experiments with each subsequent listen. Experimental electronic music rarely sounds this inviting, and this album is all the more engrossing because of it. OK Computer was an immense critical and commercial success, causing Radiohead to be heralded as the heirs to the “world’s biggest rock band” title. All of this took the band by surprise, and during their following tour, the members of the band, especially Thom Yorke, became increasingly depressed and disillusioned with their fame and the attention. Naturally, the group retreated to the more difficult fringes of their sound on 2000’s Kid A. This ironically resulted in even greater commercial success, claiming Radiohead’s first #1 spot in America. 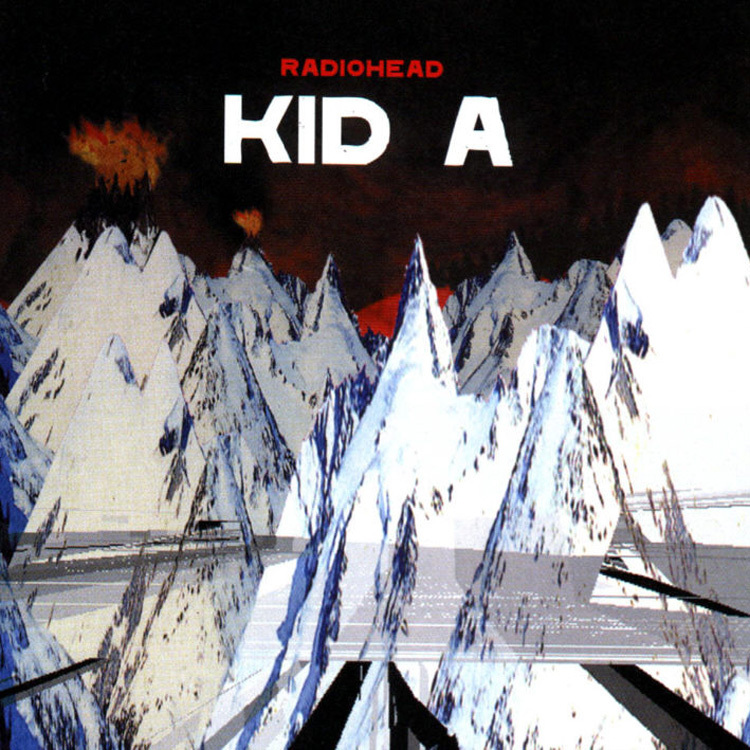 This was, of course, unintentional—it was mainly due to a Napster album leak and built up hype after OK Computer—since Kid A was designed as a deliberately difficult record to challenge the expectations of Radiohead’s fans. This isn’t to say, however, that the album was a conscious attempt at commercial suicide. 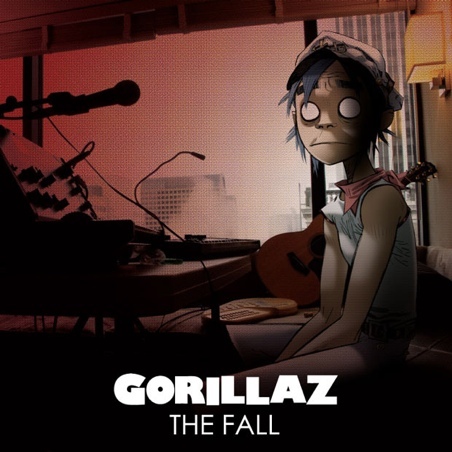 Rather, the album feels like a natural, even inevitable, transition from OK Computer‘s futuristic rock, albeit a rather extreme transition. From the moment “Everything In Its Right Place” sets in with its wash of otherworldly keyboards, it’s also quite apparent it’s not much of a rock album. Instead, Kid A is a largely electronic album, one that still feels like a Radiohead record, even when it sounds like nothing else. The band, rather than adding simple dance pulses or coffeehouse trip-hop, takes influence from more challenging forms of electronic music, something they had only flirted with previously. It never sounds forced, though, even when they incorporate elements of Krautrock and free jazz (“The National Anthem”) or ambient music (“Treefingers”). Assuredly, it is a demanding listen at first since nothing here follows any sort of conventional structure and Yorke’s lyrics are often cryptic, obscured, and fragmented. Yet, despite its alien qualities, the album is frequently emotional and beautiful as on the warped divorce song “Morning Bell;” the paranoid IDM of “Idioteque;” or the sad, ethereal folk of “How To Disappear Completely.” Plus, even though there really isn’t anything on here that can be considered a hook (except for, perhaps, the refrain to “Optimistic”), the music, once it sinks in, is just as memorable as any pop song, a testament to the album’s—and the band’s—success. Kid A may not be as immediate as some of their other work, but a patient ear reveals the album to be possibly their most rewarding. 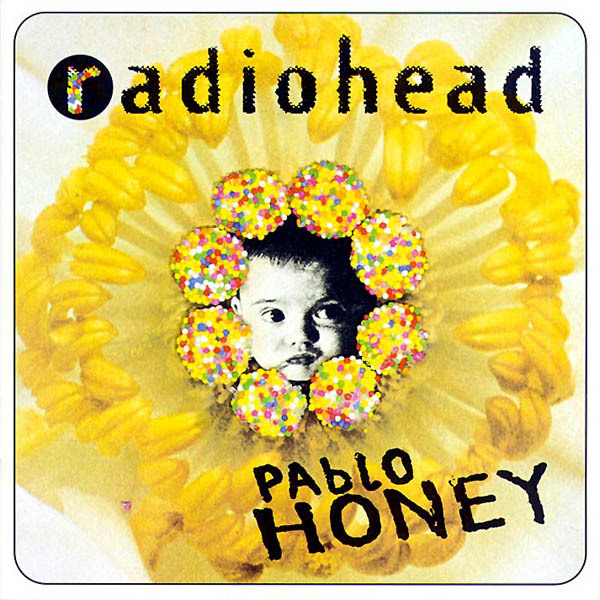 If Pablo Honey hinted at Radiohead’s cerebral, cathartic sound, then The Bends was the breakthrough, a quantum leap forward for the band in terms of composition and songwriting. The band synthesizes a multitude of influences ranging from R.E.M. and Pixies to The Smiths and My Bloody Valentine into something new, creating sweeping anthems of despair and alienation. But compared to the sullen, paranoid roads the band would later travel, The Bends feels bright and alive, even if Thom Yorke’s lyric sheet would state otherwise. The trick is that even when the music takes left turns, it always lands on a strong, focused melody, making the band’s envelope-pushing experiments seem exciting rather than ponderous. “Just” and “My Iron Lung” are muscular rockers that display the band’s more visceral side, even when the songs explore unconventional structures. Meanwhile, the haunting “Street Spirit (Fade Out)” is memorizing and dark, riding Ed O’Brien’s instantly memorable guitar riff. Yorke’s lyrics also considerably developed, providing social commentary while becoming more cryptic and memorable. This is seen most notably on the album’s biggest stand out, “Fake Plastic Trees,” a sparse, melancholy acoustic track that bubbles over into an exciting, cathartic blowout. 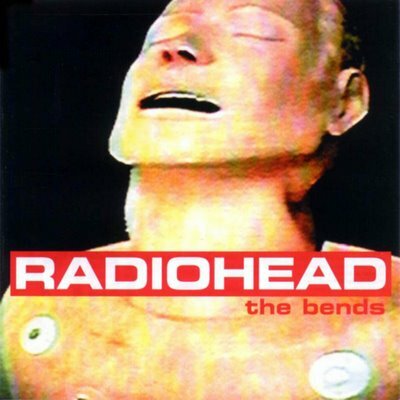 Though the band would continue to refine and innovate, The Bends stands as Radiohead’s first real demonstration of their talent and remains a classic of alternative rock. Eternally thought of as “the album with ‘Creep’ on it”, Radiohead’s debut album, Pablo Honey, is indeed the least remarkable record in the band’s oeuvre, but it’s also unjustly maligned in the grand scheme of the group’s legacy and has its fair share of memorable moments. At this point, Radiohead haven’t mastered the ability to make their textured guitars sound distinctive yet, so the album is at its best when it delivers angst-filled anthems, the group’s true forte this early in their career. “Stop Whispering” and “Anyone Can Play Guitar” are quite good, both sweetly melodic and forceful at the same time, qualities that the band would later expand on The Bends. The dreamy (then chaotic) album closer “Blow Out” is just about the only place the band mixes things up to great effect. Then there is, of course, “Creep,” which, despite its overexposure, is still a rather fine song: a moody, grungy rocker punctuated by Jonny Greenwood’s exclamatory slams of feedback. Still, much of the latter half of the album is somewhat generic, and Thom Yorke is still in the very early stages of his lyrical development, often reciting self-deprecating tropes that fail to leave an impression. Though the band’s basic sound is outlined on Pablo Honey, there are few signs of the directions Radiohead would later take in their career.